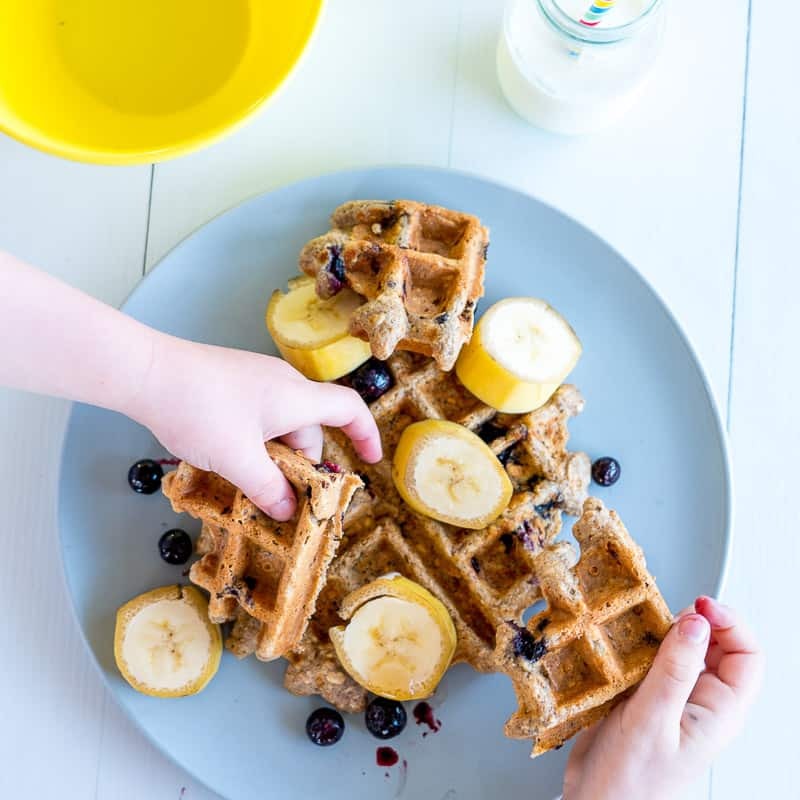 It was Waffle Day earlier this week, and to celebrate, we featured healthy waffle recipes all week to help you channel your inner Leslie Knope. First up is a simple staple you need in your back pocket, Whole-Wheat Greek Yogurt Waffles. These healthy Banana, Oat & Blueberry Waffles will fill your family up and keep them energized. Sneak veggies into your brunch with these Sweet Potato Carrot Waffles. Take waffles on the go with these Meal Prep Chocolate Almond Flour Waffles. These Healthy Blueberry Matcha Waffles beautifully combine your breakfast and drink order. Fulfill your fall cravings year-round with these delicious Oatmeal Pumpkin Waffles. Whip up these Healthy Banana Waffles that are fluffy inside and crispy outside for a morning treat.